An effective Hospital Contracting strategy is key to hospital sales success. While the sales representatives can generate demand for the product, direct contracting with a hospital breaks through the institutional resistance, which is fueled by cost containment pressures. Sintan’s Contract Management solution gives your organization the ability to execute any combination of IDN, GPO or individual hospital contracts, which can run concurrently, offering the customer the best terms available based on their performance on any covered contract. Contracts can be modeled on any combination of price, rebate and discount and any number of configurable performance metrics. Fully integrated with all channel distribution data flows, generating real time insights and alerts based on contract performance, thus enabling contract administrators, NAMs and field personnel to act while there is still time to affect customer buying behavior during the performance measurement period. 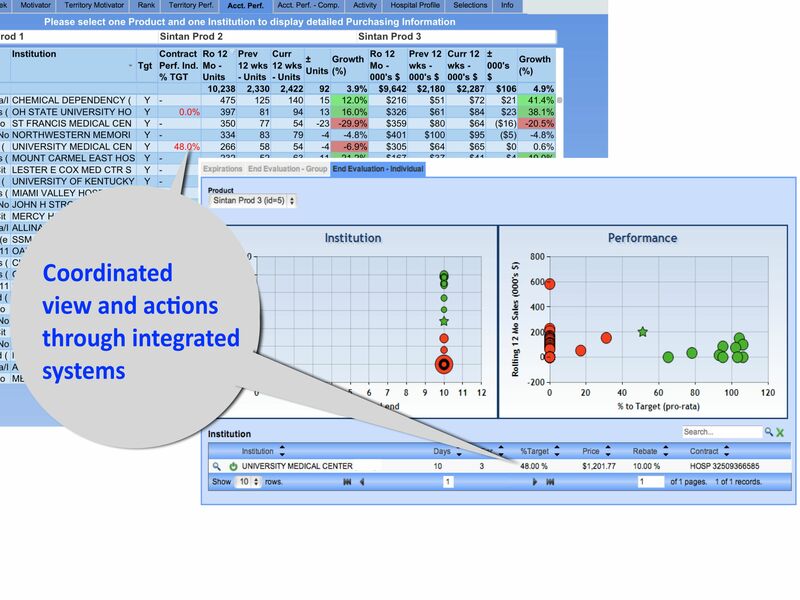 Advanced analytics to track contract expirations and pro-rata performance throughout the evaluation period. Analytics powered field alerts for NAMs and field management based on real-time channel distribution data. Predictive order modeling and shortfall alerts to all stakeholders. Automated rebate processing and price change notifications.